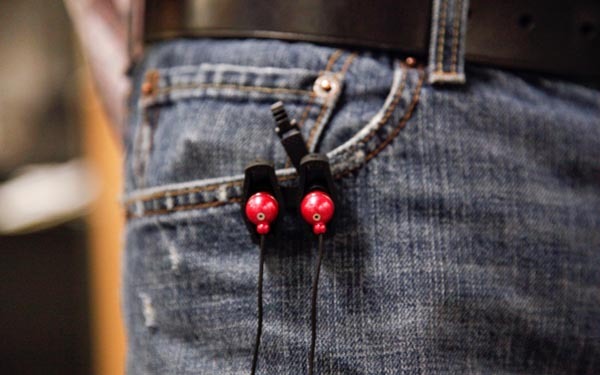 Next time you put your phone or iPod in your pocket, you don't need to worry; these headphones and earphones cord organizers keeps them organized. 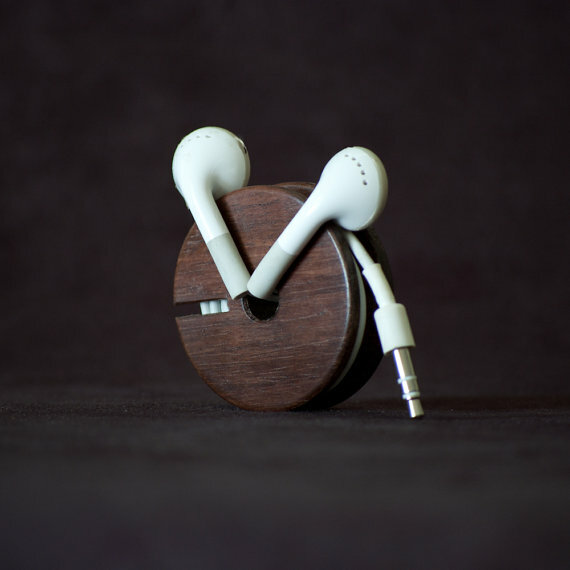 Wood Earphone Organizer: This earphone organizer is crafted from rosewood; to use it you need to simply thread your earbuds through the hole in the middle and through the space in the side, then wrap the cord around like a yo-yo. 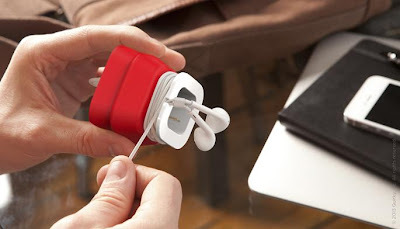 Earphone Tidy by Breffo: Earphone Tidy allows easy storage of lengthy earphone cables; simply wrap the earphone cable around its body and secure in place either end via the non slip hole. 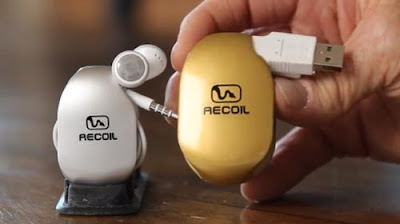 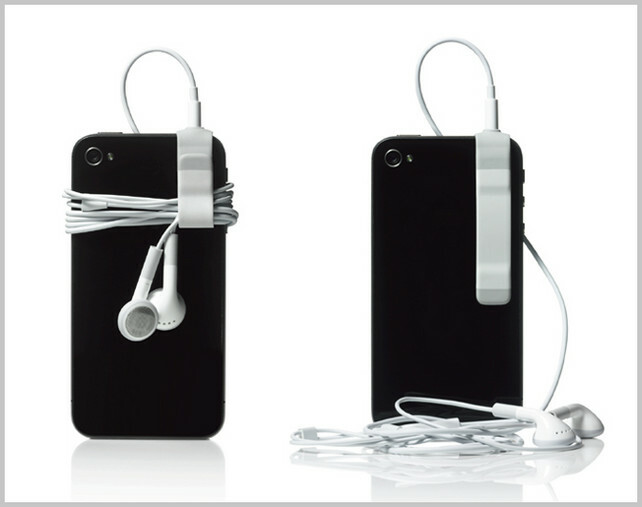 iCoil Headphone Cord Organizer: iCoil provides a simple cord winding solution for everyday use. 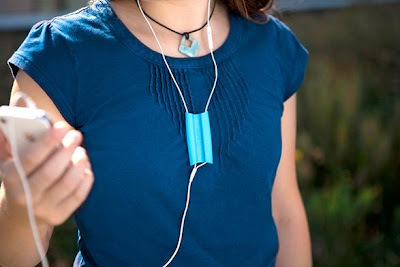 Wrapster: Wrapster allows you to wrap your cords vertically, which means more convenience and less bulk. 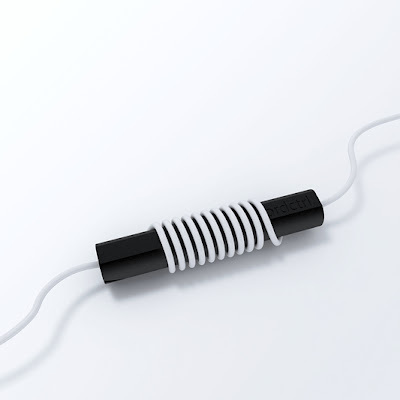 Cordctrl Headphone Organizer: Simply wrap your headphone cord around the Cordctrl and lock it at both ends by placing the cord into the space. 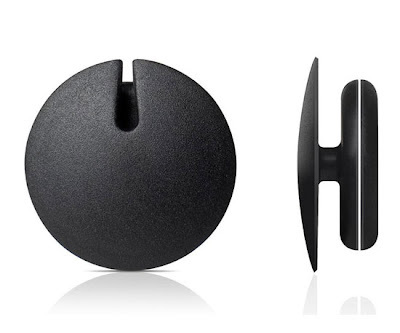 Bobino Cord Wrap: It provides a simple way to manage your headphone wire. 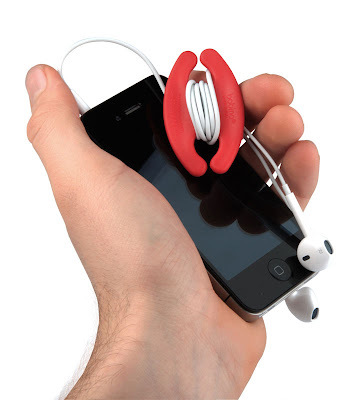 Spider Byte Earphone Cord Organizer: This cool earphone cord organizer comes in shape of a spider. Sinch Headphone Cord Organizer: Sinch is a small-size, flexible and stretchable headphone cord organizer designed to pass the headphone connector through it and connect to 3.5mm audio jack on your iPhone 4 or other music player. 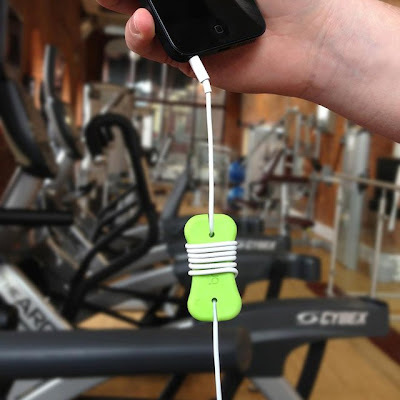 PowerCurl Mini Adapter Holder and Earphone Cord Organizer: PowerCurl Mini organizes your iPhone's power adapter and earbuds. 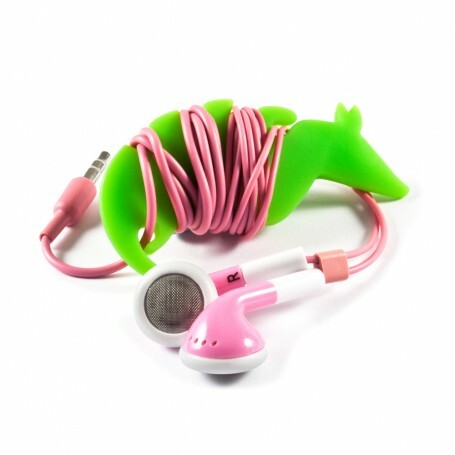 Spot Earphone Cord Organizer: This miniature and practical cord organizer loops the earphone cord around itself, while its two holders holds the two speaker units of the earphones. 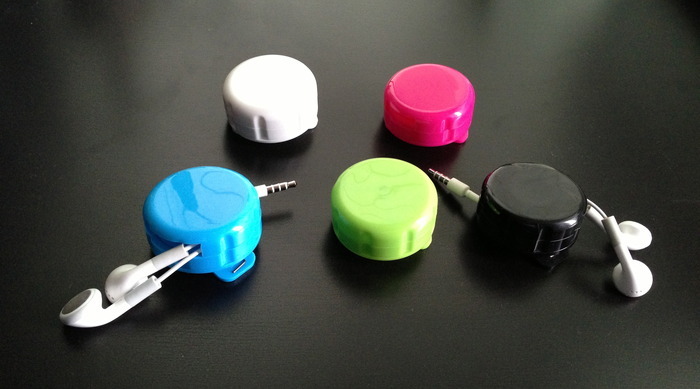 The integrated clip also allows you to attach the Spot anywhere on your clothing. 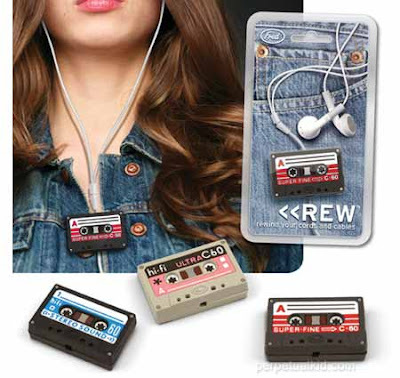 Cassette Shaped Headphone Cord Organizer: Rew Headphone Cord Wrap is a cord organizer shaped as a mini cassette. 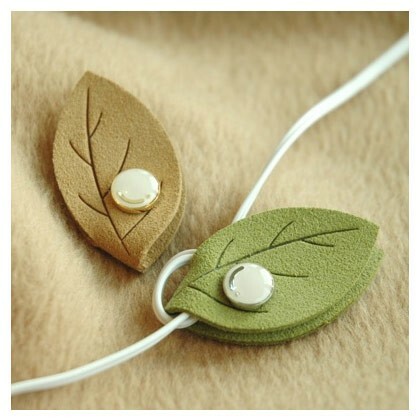 Leaf Earphone Cable Organizer Winder: The Leaf Earphone cable winder keeps your earphones neatly organized and manageable.